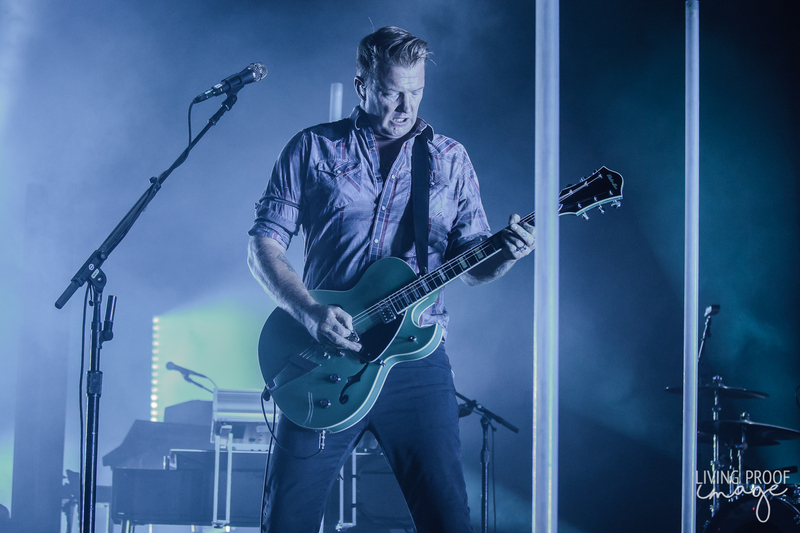 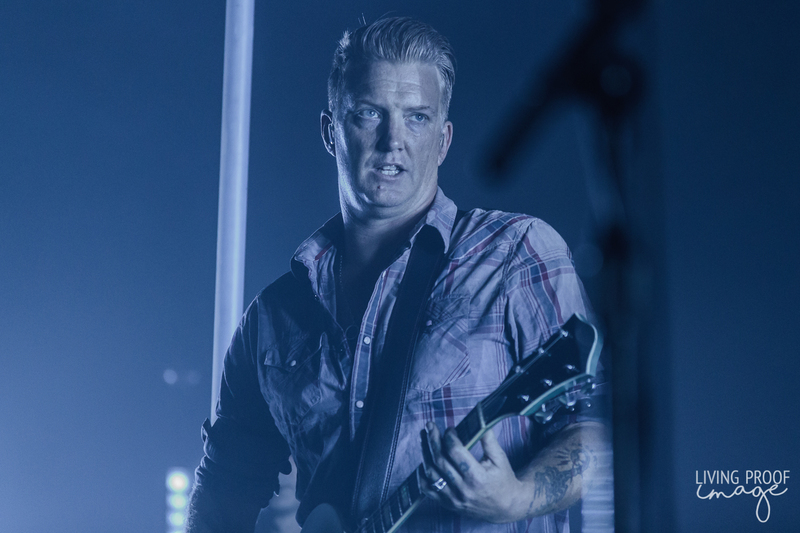 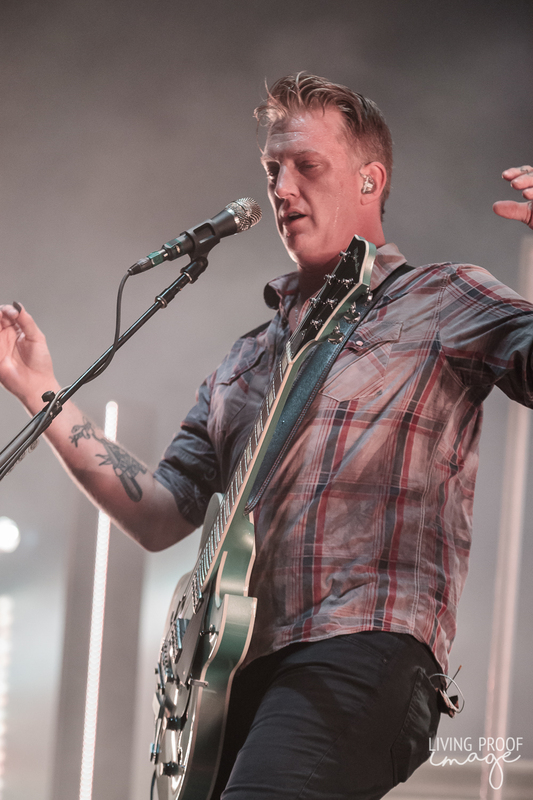 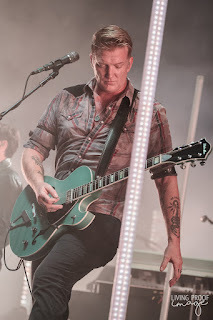 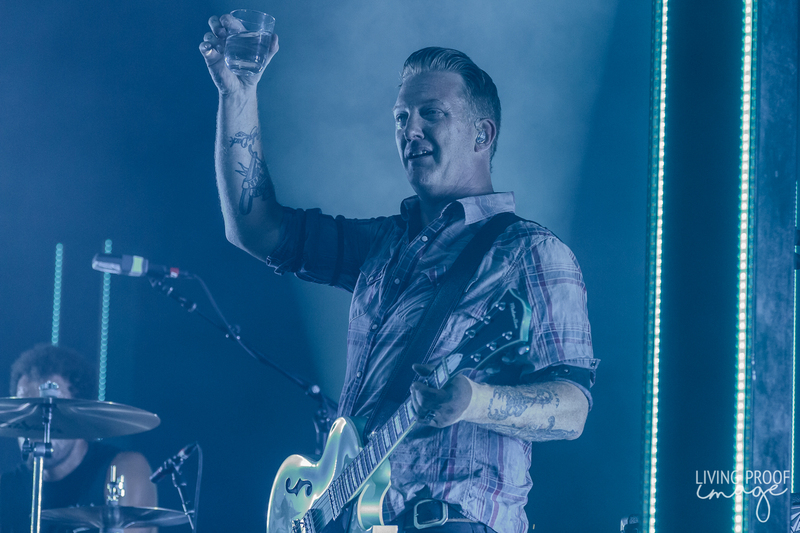 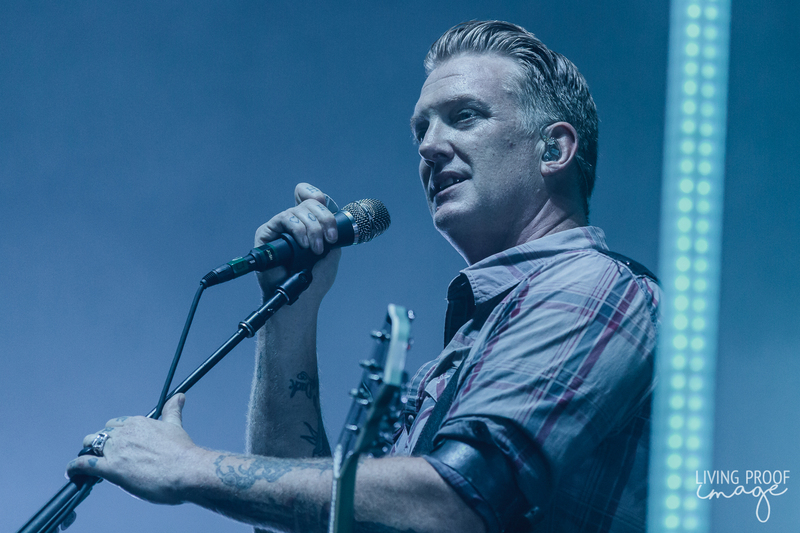 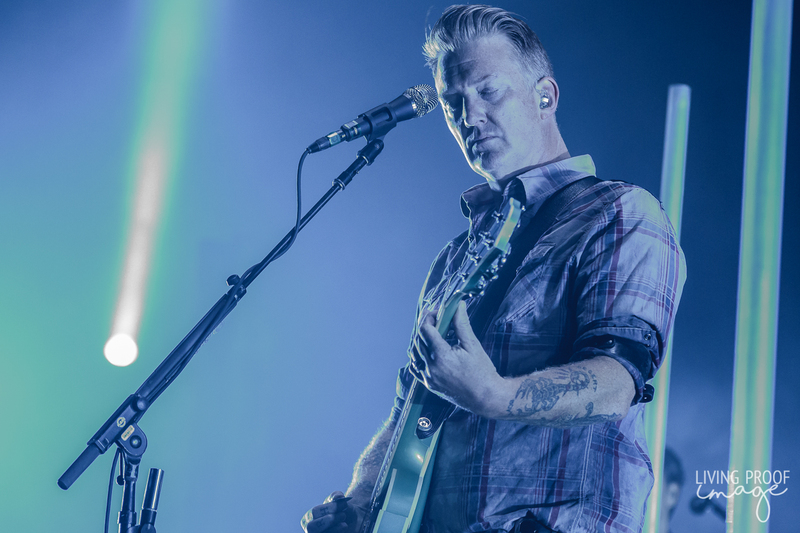 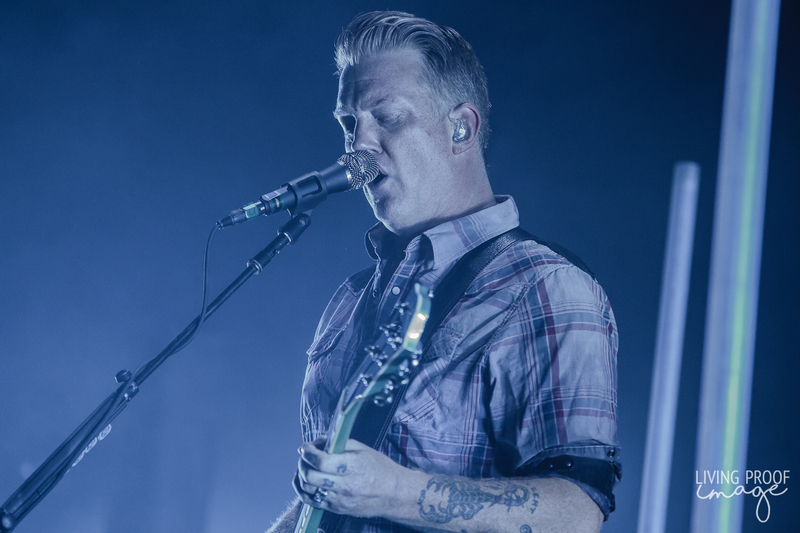 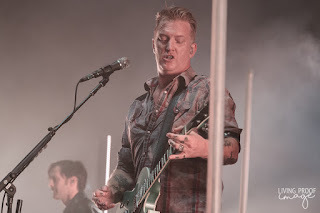 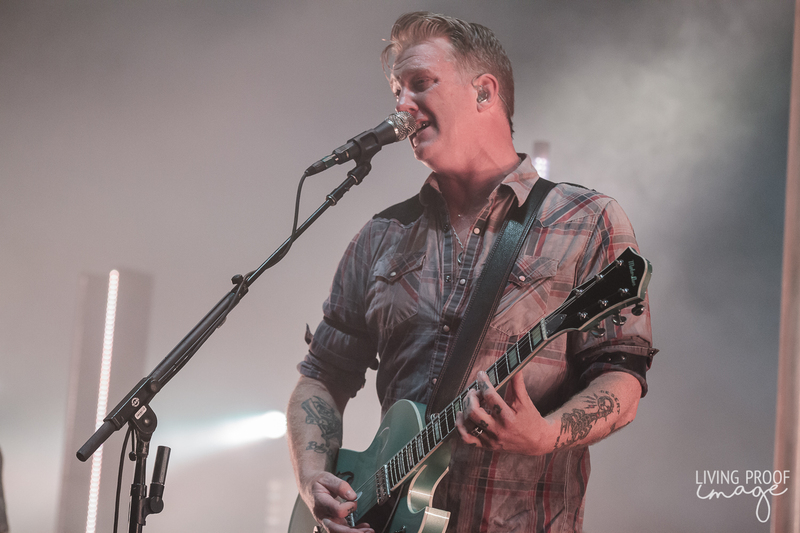 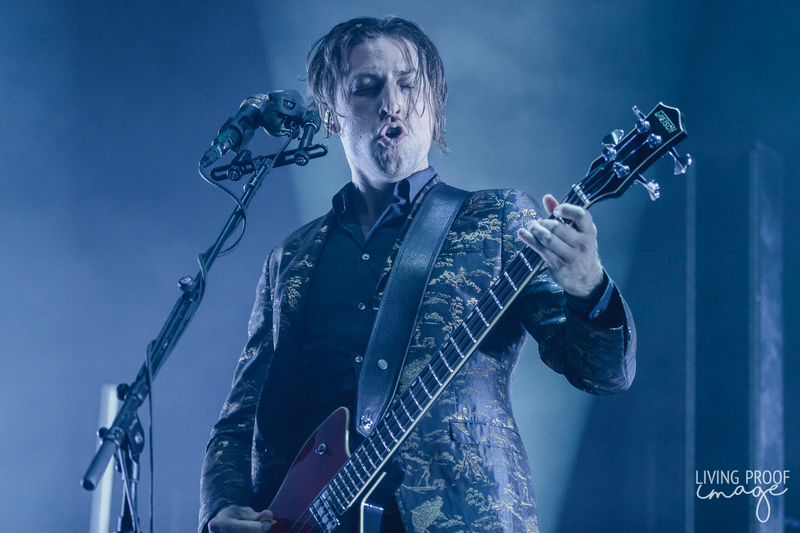 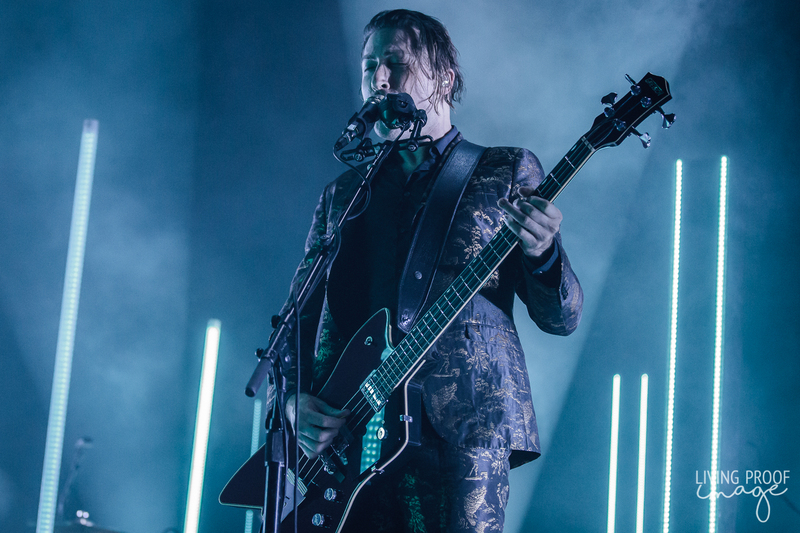 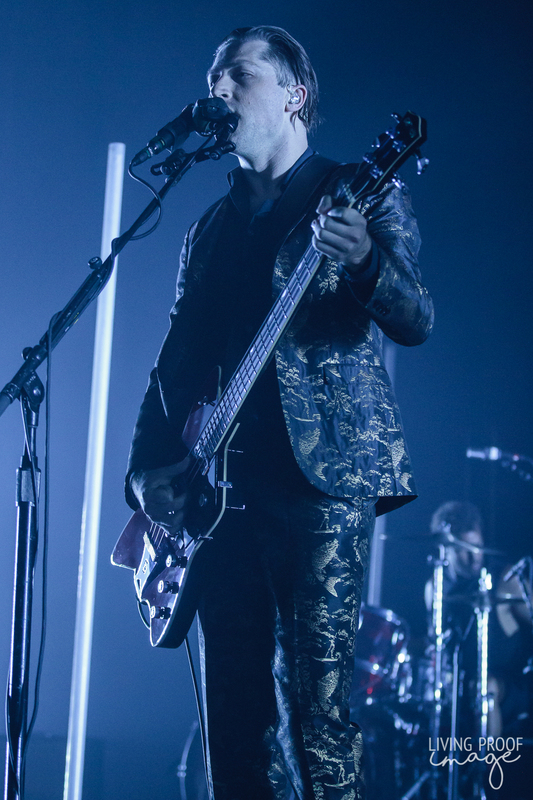 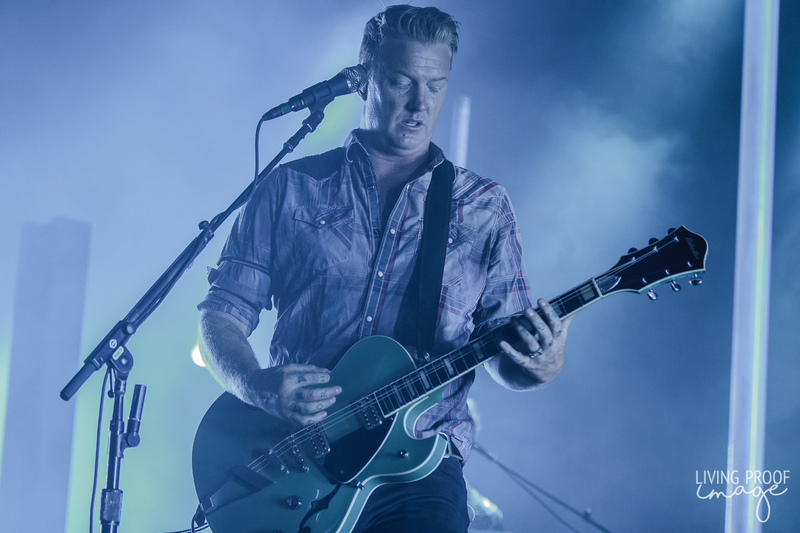 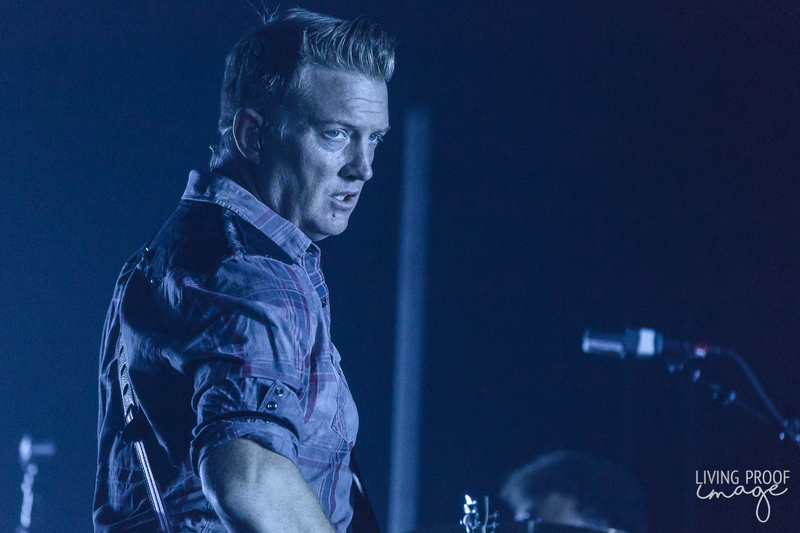 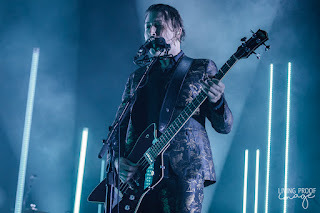 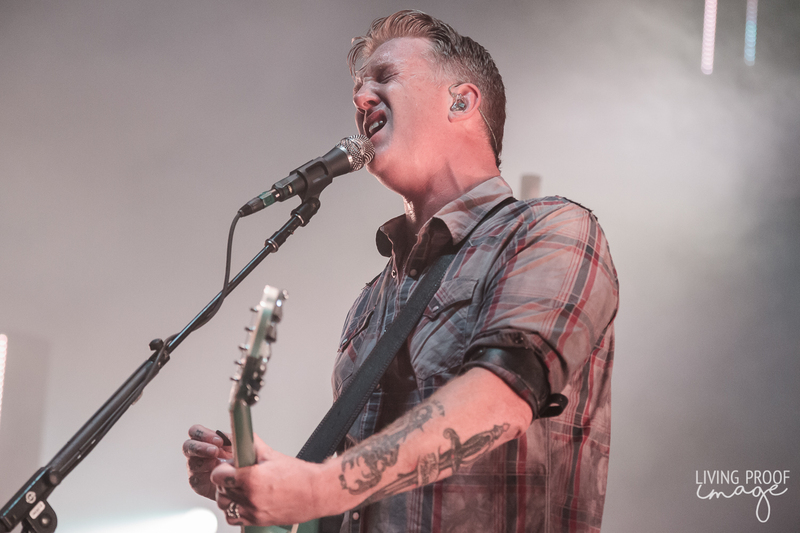 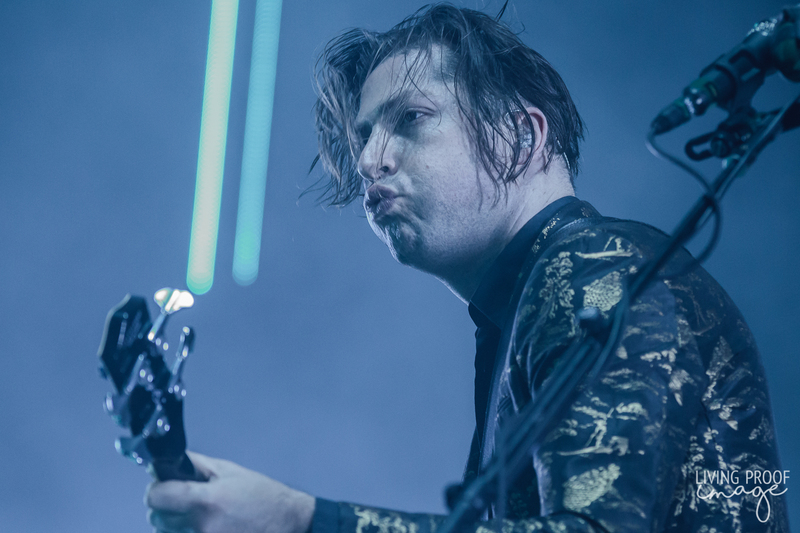 The last time Queens of the Stone Age were in town, they headlined a sold out show at the Verizon Theatre in Grand Prairie, TX back in 2013. 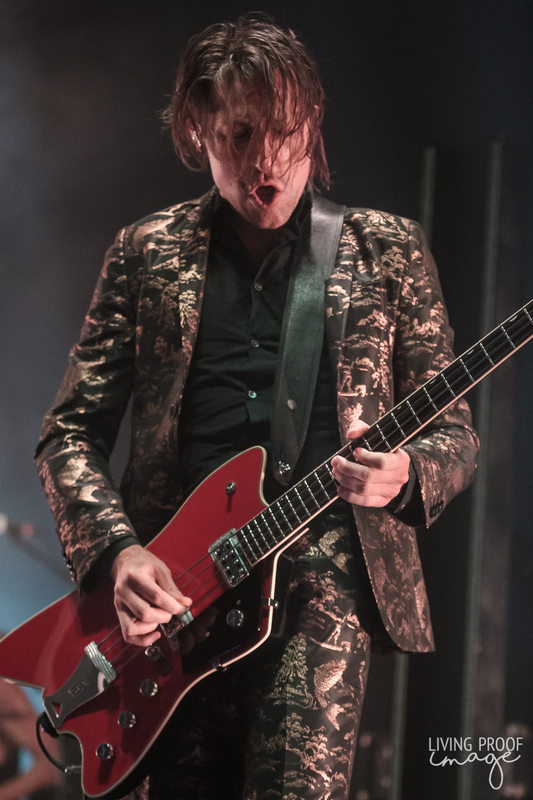 They were touring in support of ...Like Clockwork, performing dates surrounding the two weekends of Austin City Limits, a perk of living in North Texas, as the spillover shows will fill up the entire week. 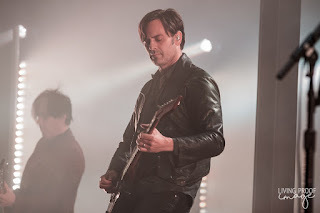 So, it's been a minute since the boys have been in the DFW area, but that changed when they performed at a sold out show at the newly-christened Toyota Music Factory in nearby Irving. 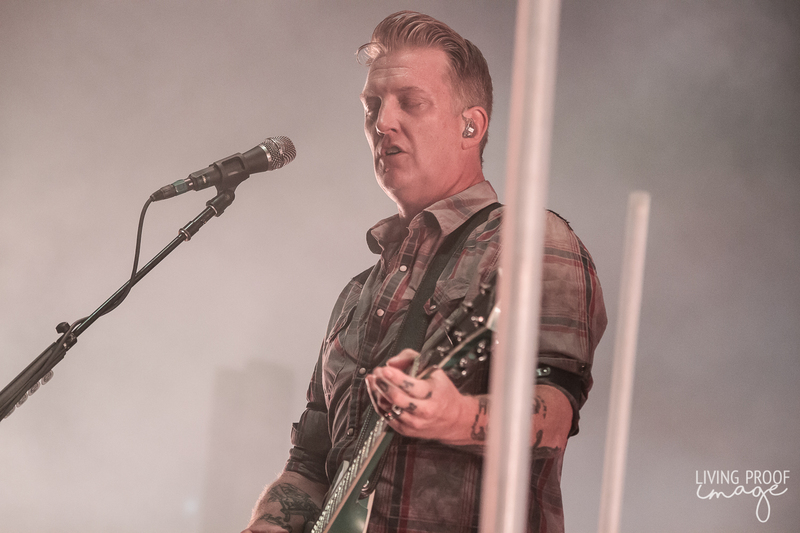 The all-day rain shut down the extended lawn area of the Music Factory, so the 4,000 who originally bought lawn tickets, got an unexpected upgrade to the pit section, overflowing the crowd into the wings of the pavilion. Despite Queens being around since the late 1990's, this was my first time seeing them perform live, so I had some pretty high expectations going into the show. 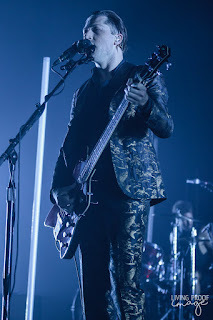 And wow, they did not disappoint. 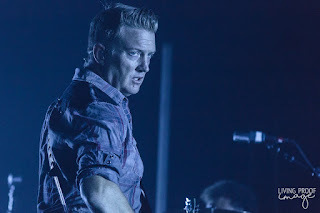 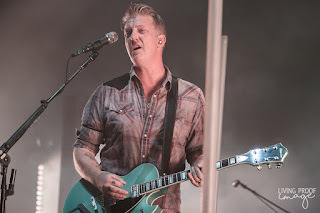 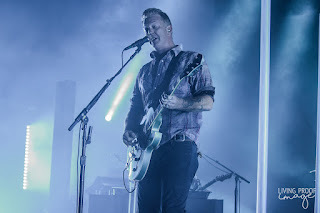 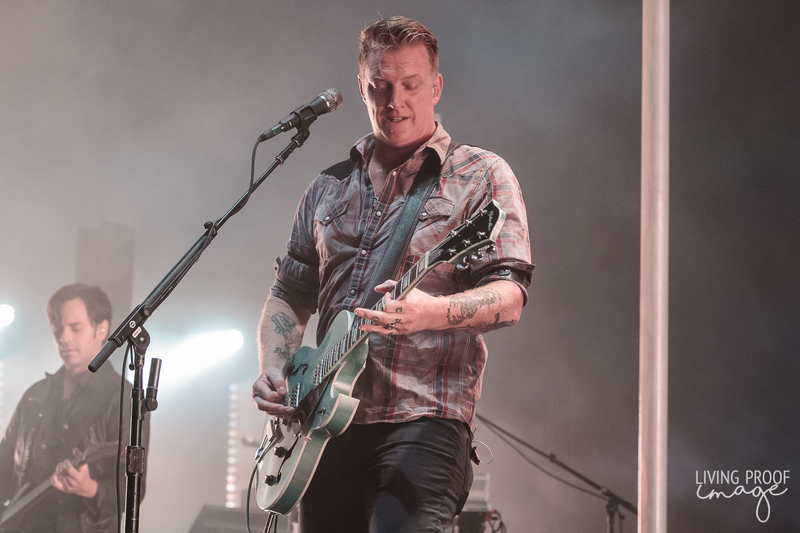 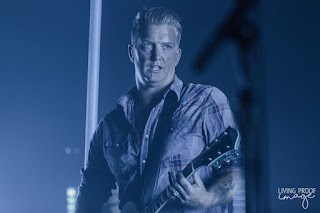 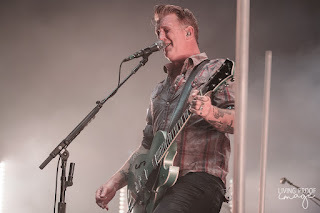 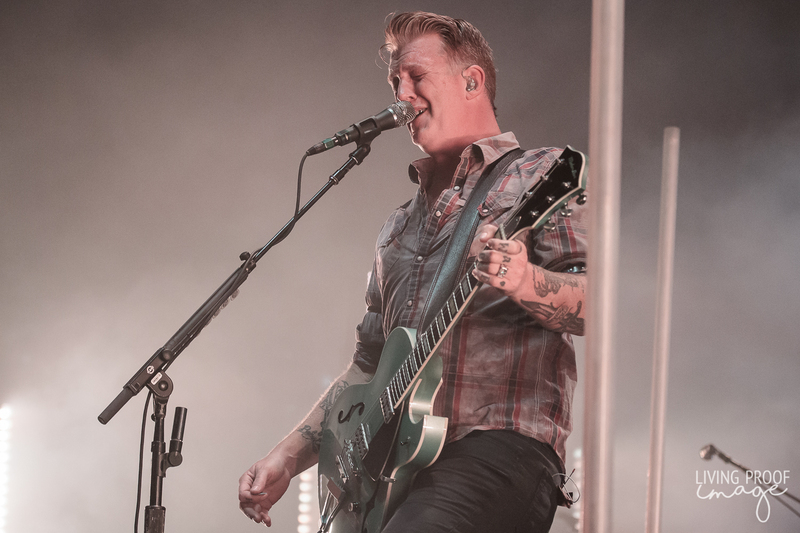 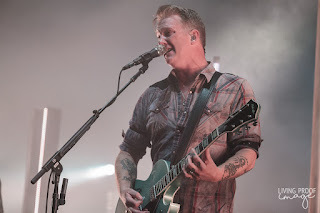 Standing amongst LED light posts and in front of several light arrays, frontman Josh Homme and company opened the show with the slow-building "Feet Don't Fail Me", the opening track to their latest release, Villains. 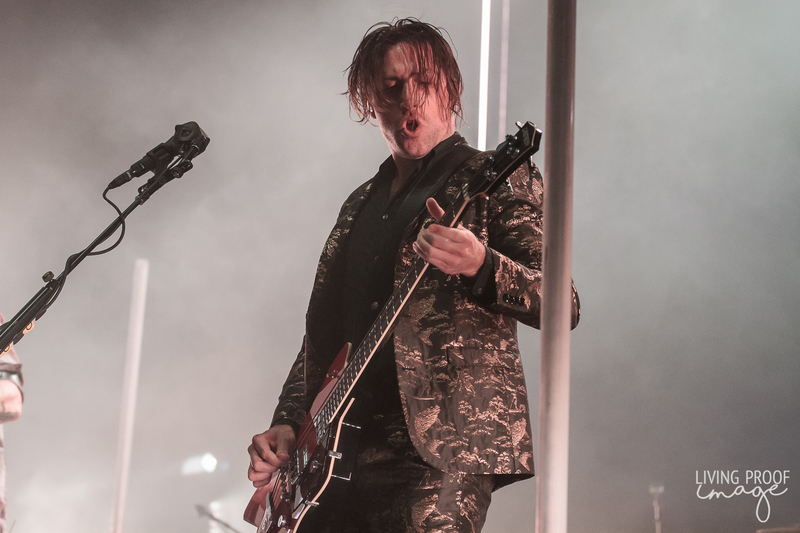 The song builds for nearly two minutes as Homme and company test the Toyota stage before the band hits their funky, rock stride and whip the crowd into a frenzy. 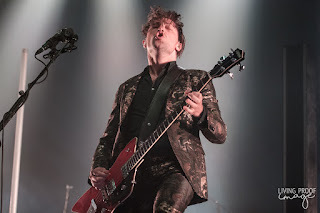 Unlike many rock acts out there, Queens do not need an elaborate stage setup: no LED displays, no pyrotechnics, no CO2 eruptions. 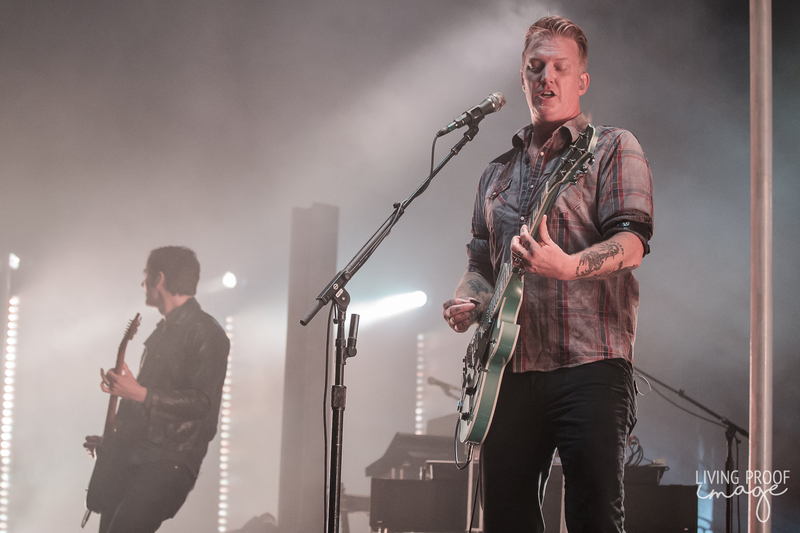 All they need are instruments, amplifiers, and straight up rock and roll. 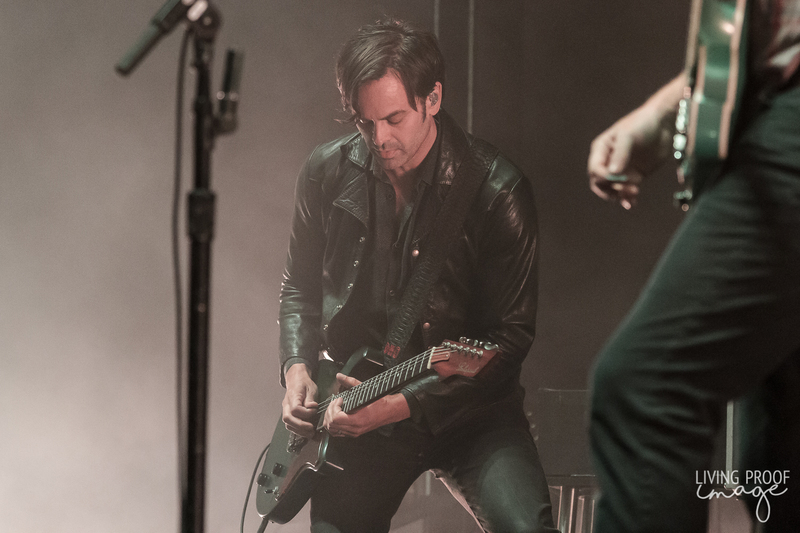 And they have plenty of rock and roll. The nearly two-hour set consisted of a hefty 18-song setlist, spanning their entire career from Queens of the Stone Age to Villains, but choosing not to perform any tracks from 2000's Rated R. What was surprising is that they only performed five tracks from Villains, the release they are currently touring on, instead performing songs from their entire catalog, something fans typically prefer anyways. Of these older tracks, nothing brought more joy to the crowd than the sixth song performed, "No One Knows", their most popular song which performed to perfection, including a nice drum solo at the end. 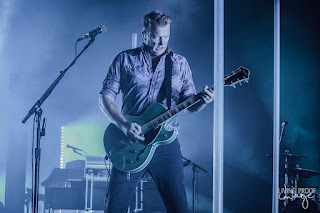 Homme had plenty of banter for the crowd, mostly personal beliefs, sometimes playful but also downright serious. 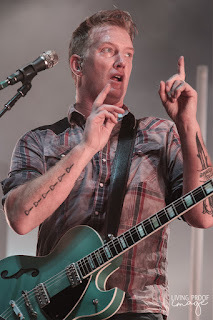 Nothing too preachy, but he's definitely using his platform well. One of my personal favorites from the set was "Villains of Circumstance", the closing song from Villains. 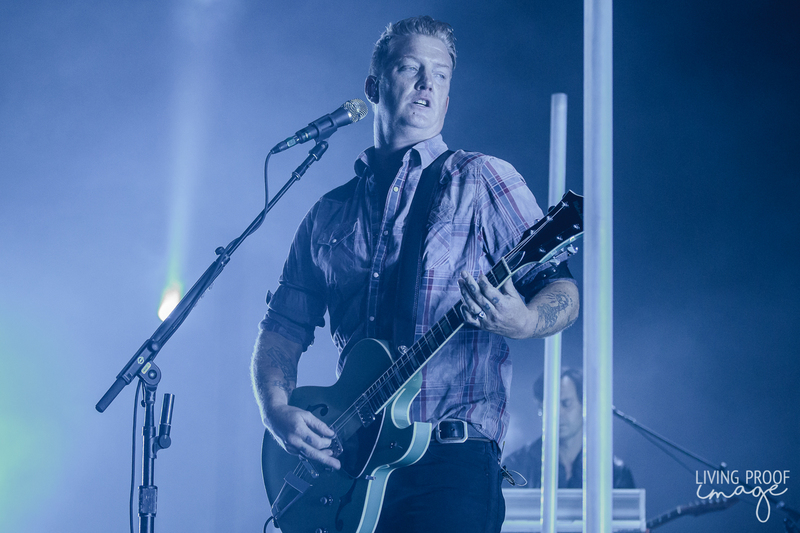 The song is a slow-burner, showing flashes of brilliance, before ending with a two-minute jam session. 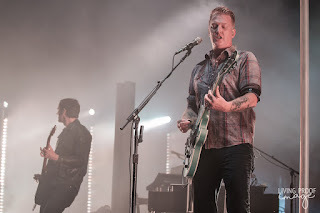 The boys ended their set with the blistering "Little Sister" before coming back to perform their two-song encore consisting of "Go With the Flow" and "A Song for the Dead". Overall, this band can hang with the best of them, showcasing great musicianship and energy, in a no frills environment.